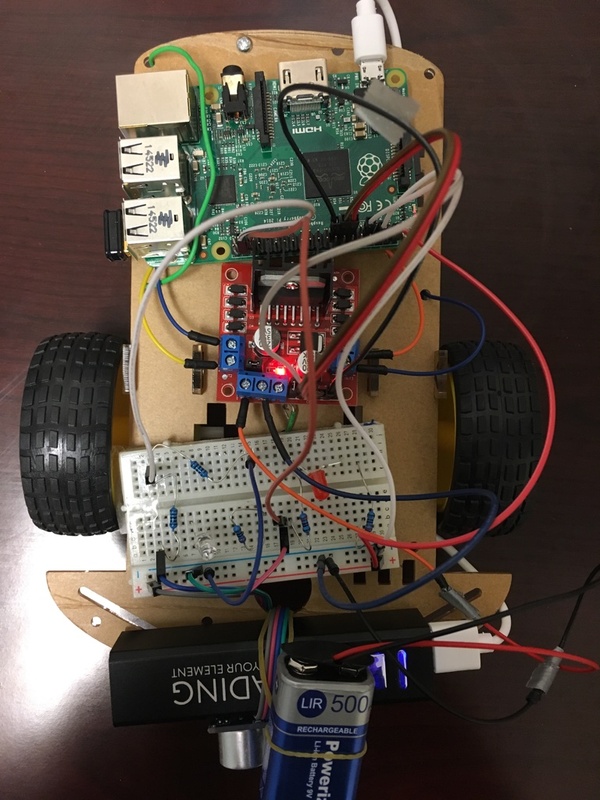 This IoT project utilizes PubNub API to control a small robot car and receive collected ultrasonic sensors data from anywhere in the world in real time! TRIG goes to pin 36 and ECHO is plugged in to pin 38 of the Pi. 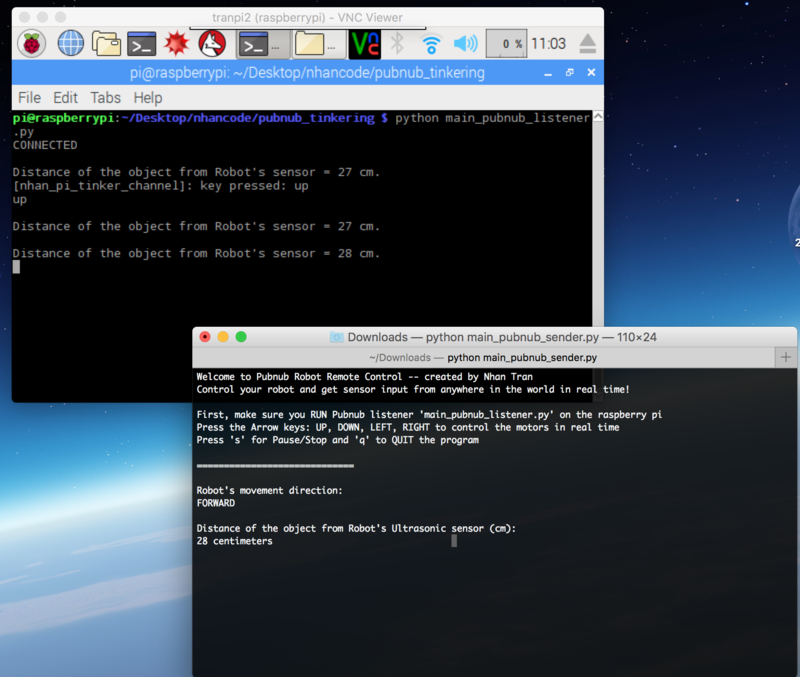 – While running the PubNub sender, you should be able to see some instructions in the terminal screen. – Press the Arrow (up, down, left, right) to control the robot movement. – You should be able to see the sensor data of the distance between the robot and nearyby object in the sender’s terminal screen. It gets updated in real time thanks to PubNub feature! Demo pic of two terminals (top left the Pubnub listener is running on the Pi, and on the bottom right, the PubNub sender is sending keyboard value to control the robot in real time. 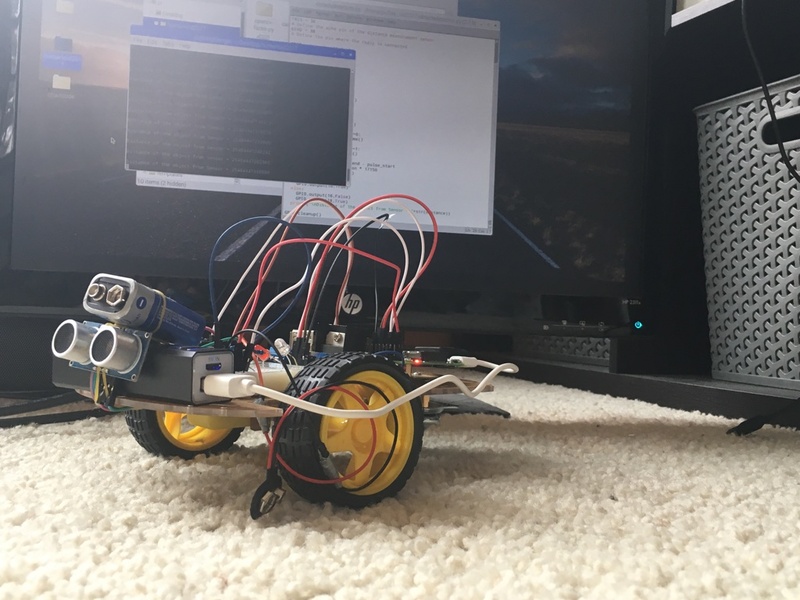 – I plan on attaching a webcam to the pi and tinkering with Computer Vision library OpenCV so that I can control the robot far far away while seeing the livestream of what is happening. 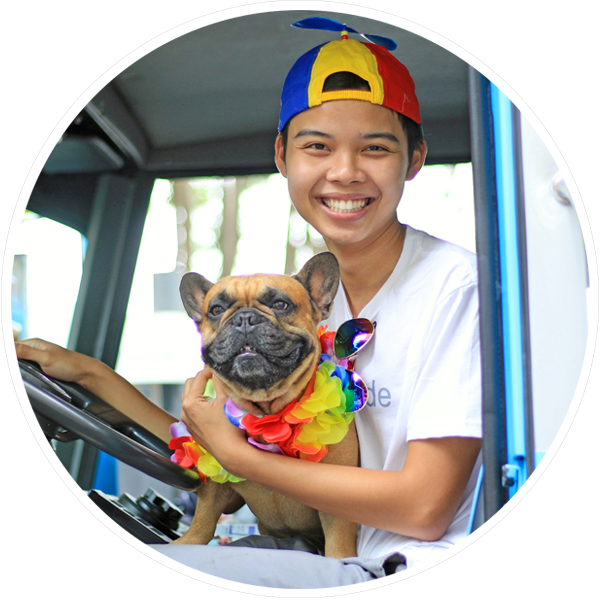 The OpenCV will add the human facial recognition feature, too!